Two-toned dip dyed knit cardigan with a unique convertible design. Wear it as a long oversized cardigan or flip it upside-down to wear it shorter, coat style. 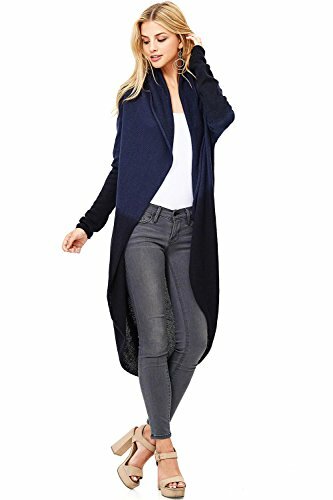 This is the perfect, casual throw-over cardigan! If you have any questions about this product by Love Stitch, contact us by completing and submitting the form below. If you are looking for a specif part number, please include it with your message.